Aluma / Safway have merged to create one comprehensive Industrial and Commercial Services organization. Our new combined organization is focused on delivering added value to all customers in the commercial, industrial and infrastructure markets. AMI Attachments Inc. is an industry leading North American manufacturer of quality and reliable attachments for excavators, backhoes, wheel loaders and other heavy construction equipment. With a head office and manufacturing facility in Waterloo Ontario, AMI Attachments serves the heavy equipment attachment market across Canada and the US. Aquatech is a complete service provider of specialized pumping and environmental equipment for fluid handling and testing applications. While mostly known for our construction and mine dewatering, and groundwater related services, we also offer a complete line of pumping equipment. CreeQuest is 100% Indigenous owned business in partnership with Aramark Remote providing camp services to Detour Gold Mine, a new division added in 2018 for Industrial Laundry with a facility in Cochrane Ontario. 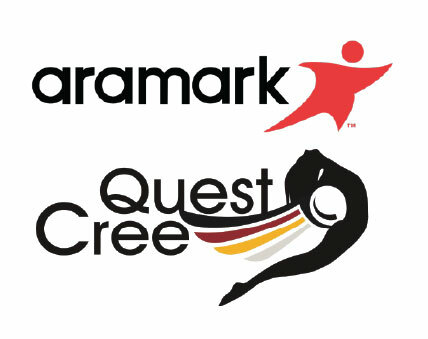 Aramark CreeQuest is a hospitality and facilities management company supporting the mining sector. Our goal is to provide a lodge with exciting and healthy dining and lifestyle options, amenities that enhance the guest experience and the comforts of home. Allowing your employees to perform their day-to-day responsibilities productively and efficiently. At ASGCO “Complete Conveyor Solutions” we use engineered products and services to provide the best solutions to your conveyor material handling applications. Combined with our global network of distributors, we are part of a coordinated team focused on insuring your success. Oil-free Air is a division within Atlas Copco’s Air Compressor and blower business area. It develops, manufactures, and markets worldwide oil-free and oil-injected air and gas compressor combined with air and gas treatment systems. Atlas Dewatering - Since 1946 - providing complete Pumping & Dewatering systems. Godwin Pumps. Largest diesel pump rental fleet in Northern Ontario. Open pit, tailings, high head, spring run-off, low PH, slurries, emergency response. Design, deliver, install, commission, operate. We take care of analyzing the documentation for each of your shipments to ensure that your declarations are compliant with the customs regulations in effect. We ensure the accuracy of the tariff classification is adequate and verify import requirements for your products and legislation from all government agencies. Axxess International offers you experienced personnel and a personalized service according to your requirements.